PCFF presents the best of independent and international children’s cinema to inspire, delight, educate, and connect a diverse community of children and families from Rhode Island and throughout New England. PCFF is a 501(c)(3) non-profit organization founded in 2009. The PCFF film selection committee seeks films with content that speak positively to children, teens and families of diverse ages, backgrounds and ethnicities. Please consider submitting if you have created work that can speak to all, including children. We seek films that are entertaining and/or challenging to young minds with serious, true-to-life topics and narratives. Topics can span the entire range of emotions. A film need not have a “story-book” ending to find a place in our festival. PCFF welcomes foreign films with subtitles, documentaries, animation and even experimental films that might widen the perspectives of those who attend. Through the selected films we hope to: demonstrate the artistry and craft of filmmaking, provoke discussions about the stories and topics, and to make connections with people and cultures near and far. PCFF curated films are not always appropriate for all ages. To help parents make informed decisions about what their children see and to provide context for discussions, PCFF film listings include recommended ages, notes on thematic elements, and descriptions of potentially challenging content. 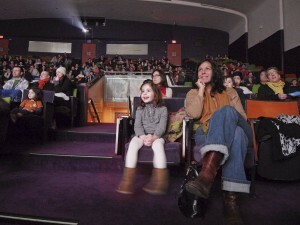 PCFF has become more than just one of the top film festivals in the country dedicated to programming for children and youth. We are cultivating the next generation of visual learners and critical thinkers by connecting our community with resources and programming to discover, explore and inspire through film year-round. To broaden the reach of our programming beyond February, we have expanded collaborations with peer organizations in Rhode Island to provide screenings and other opportunities for youth to learn from and engage with film. Youth-oriented partner organizations include: AS220, the Boys and Girls Clubs of Providence, Providence Children’s Museum, Providence CityArts, Providence Athenaeum Children’s Library, Rhode Island Museum of Science and Arts (RIMOSA), GiveMeFive, Providence Community Library, RIOLIS, and the RISD Museum.